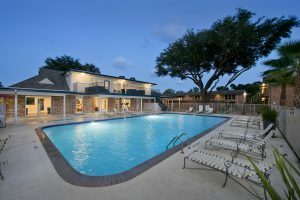 Tanglewood Square is a 56-unit community located in Baytown Texas. Built in 1963, the property features an excellent layout with 4 apartment style buildings and represents an opportunity to acquire a distressed asset with a value add component. 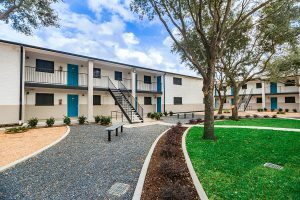 A 56-unit garden apartment community built in 1963, located in the Baytown submarket. The property benefits from an excellent location directly on Garth Road, less than one mile north of State Highway 146, and 5 miles south of Interstate 10. This property provides a great opportunity for growth through renovation and re-leasing. The Baytown submarket continues to experience strong economic growth. Ability to achieve typical sub market rents by completely rehabbing the property inside and out and leasing at current market rates. Tanglewood Square offers three floor plans with 10 one bedroom one bath first floor units, 10 one bedroom one bath second floor units, 17 two bedroom one bath first floor units, 17 two bedroom one bath second floor units, 1 three bedroom two bath first floor unit and , 1 three bedroom two bath second floor units. 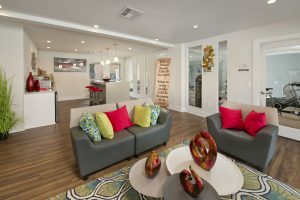 The floor plans range in size from 620 sq. ft for the one bedrooms, 920 sq. ft. for the two’s and 1130 sq. ft. for the three bedrooms. We are working to re-position this asset and expect the process to take approximately 2 years.